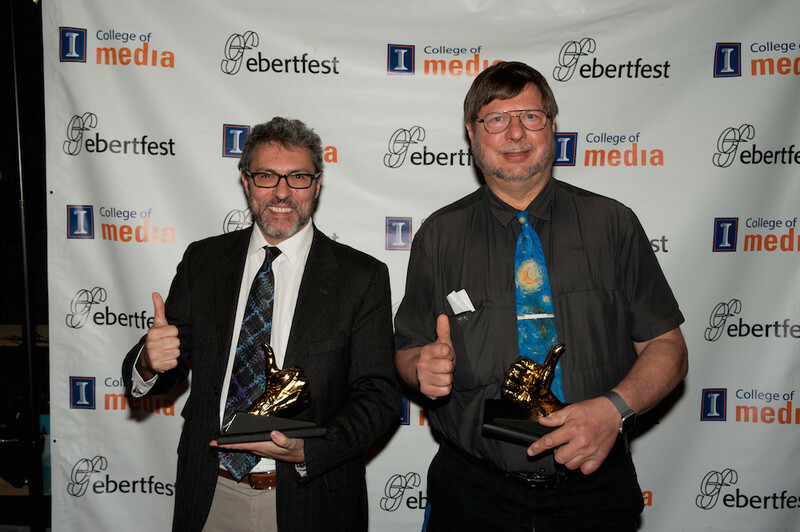 Our 20th anniversary of Ebertfest Film Festival has come to a close, and it has brought me so many memories to cherish. Roger would have loved it. I've decided to highlight them in the following photo journal. Photos courtesy of Timothy Hiatt. 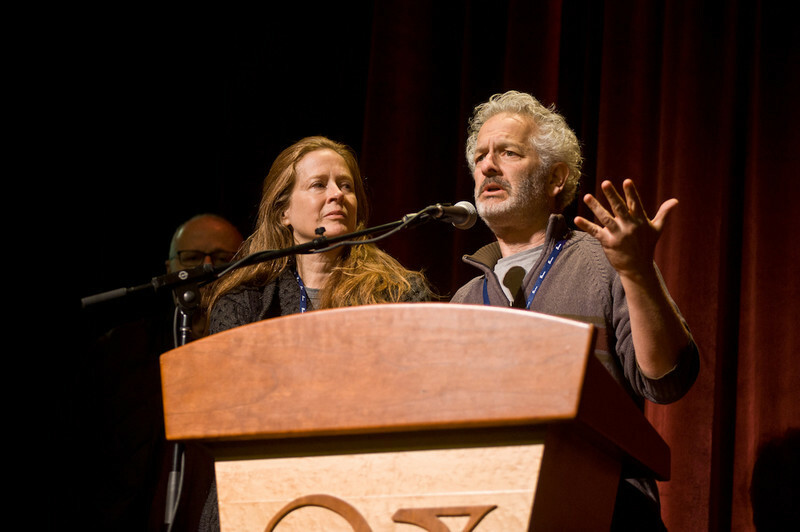 Festival Director Nate Kohn and I were thrilled to welcome the many wonderful guests at this year's festival. 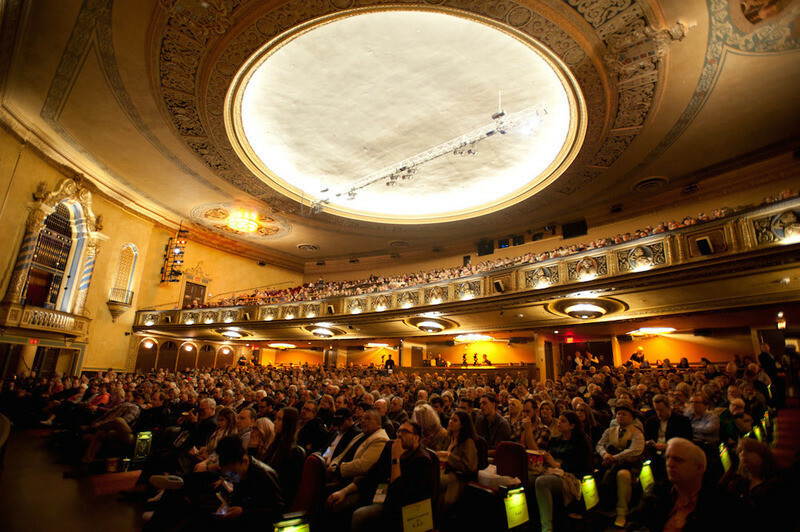 Once again, the Virgina Theatre proved to be a dazzling venue for our festival, and the screenings were jam-packed. 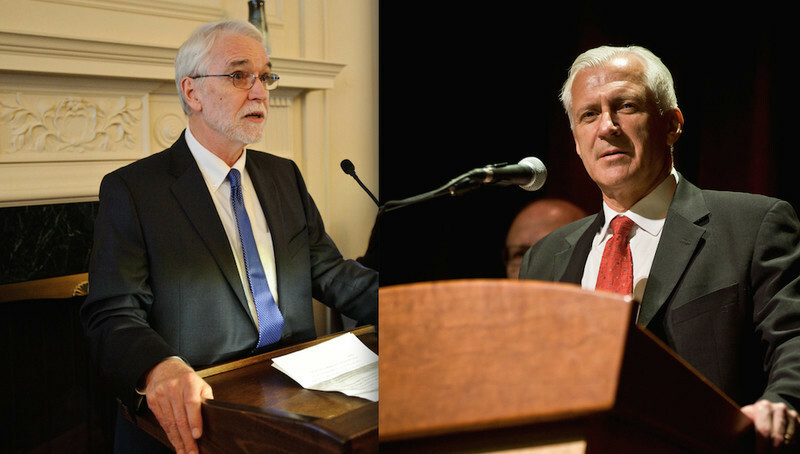 President Timothy L. Killeen of the University of Illinois and Interim Dean Wojtek J. Chodzko-Zajko of the College of Media helped us open this year's festival. 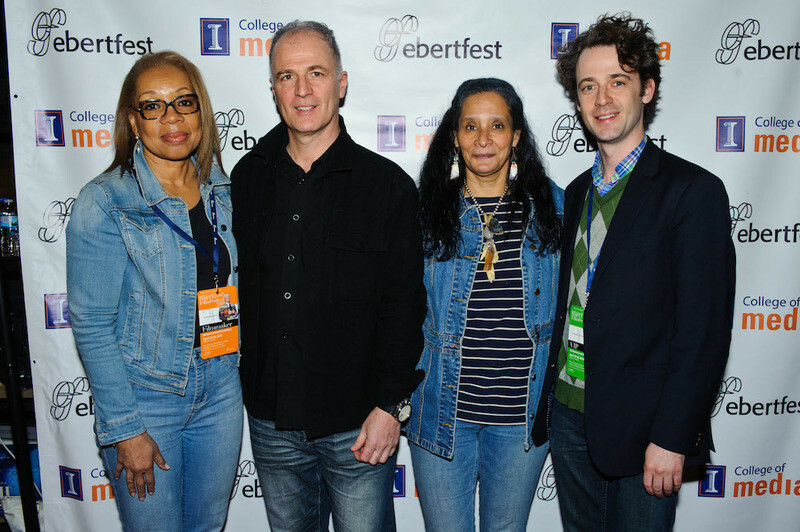 Christine Dudley, Director of the Illinois Film Office joined us on opening night. 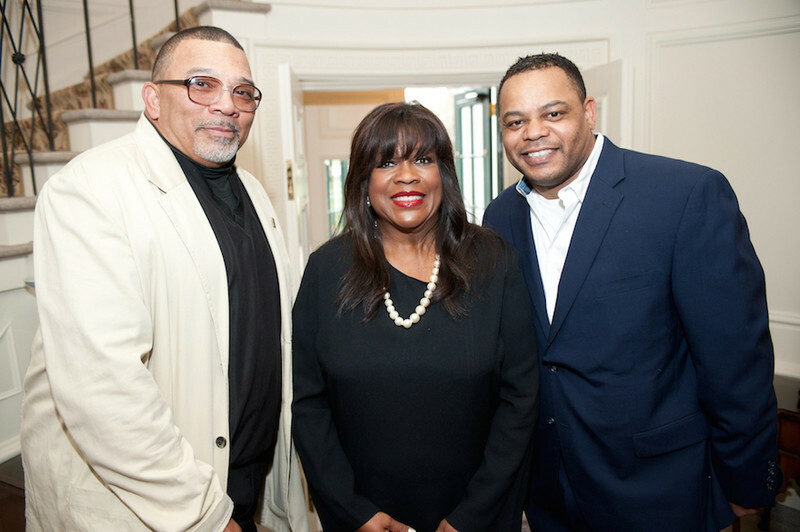 Among our very special guests was Burl McLiechey (pictured here, left), the sixth-generation great-grandson of Sojourner Truth, and Cal Calloway who is making a film about her. Our opening night selection was one of the all-time greatest Chicago movies, 1993's Oscar-winning "THE FUGITIVE." Director Andy Davis delivered a heartfelt introduction. Davis joined Richard Roeper, Matt Zoller Seitz and Scott Mantz for a Q&A afterward. The conversation flowed! 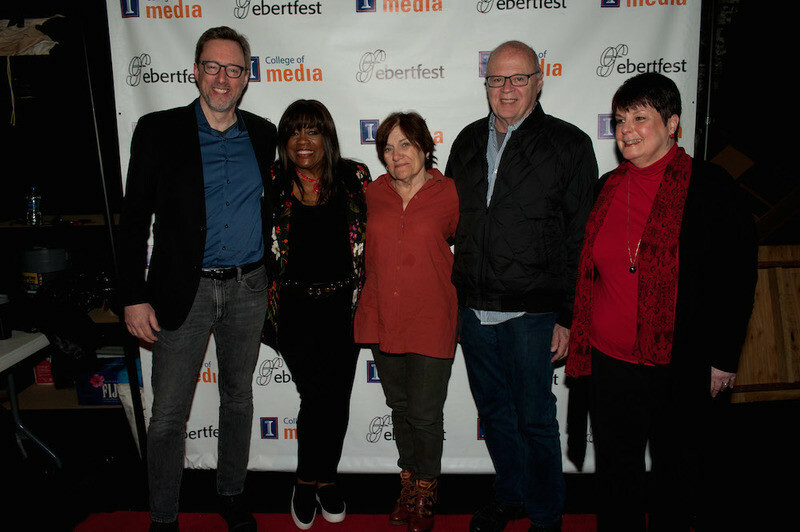 Richard Roeper was my husband's TV partner for a number of years, and we always love having him at the festival. 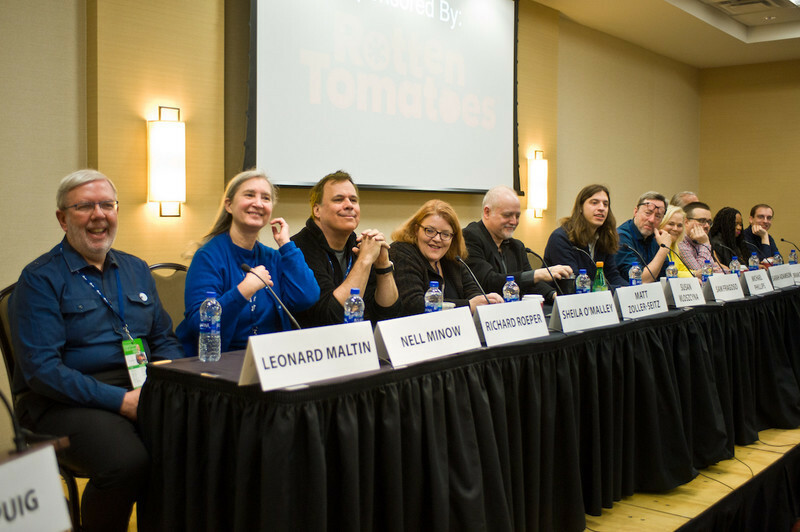 Day Two kicked off with "The Critics Panel: Critical Mass" featuring Leonard Maltin, Nell Minow, Richard Roeper, Sheila O'Malley, Matt Zoller Seitz, Sam Fragoso, Michael Phillips, Sarah Knight Adamson, Brian Tallerico, Scott Mantz, ReBecca Theodore Vachon and Matt Fagerholm. The panel was moderated by Claudia Puig. She handled the group of critics masterfully. 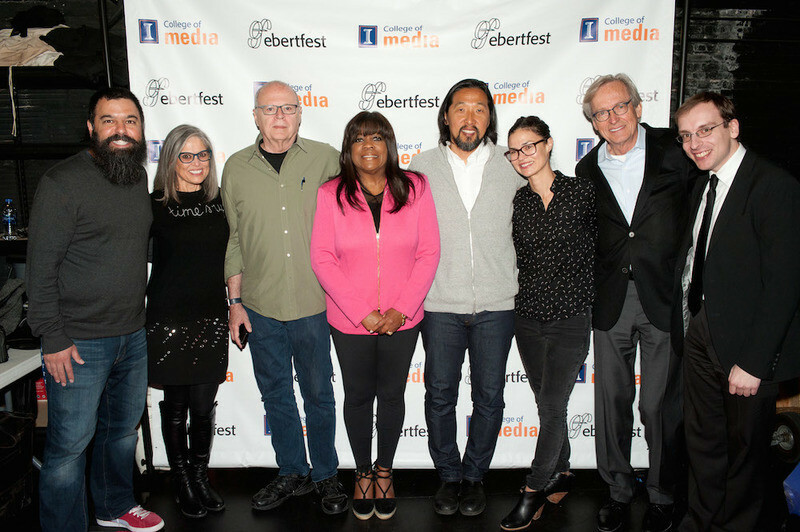 The 2016 documentary, "DISTURBING THE PEACE," was the first recipient of our Ebert Humanitarian Award. 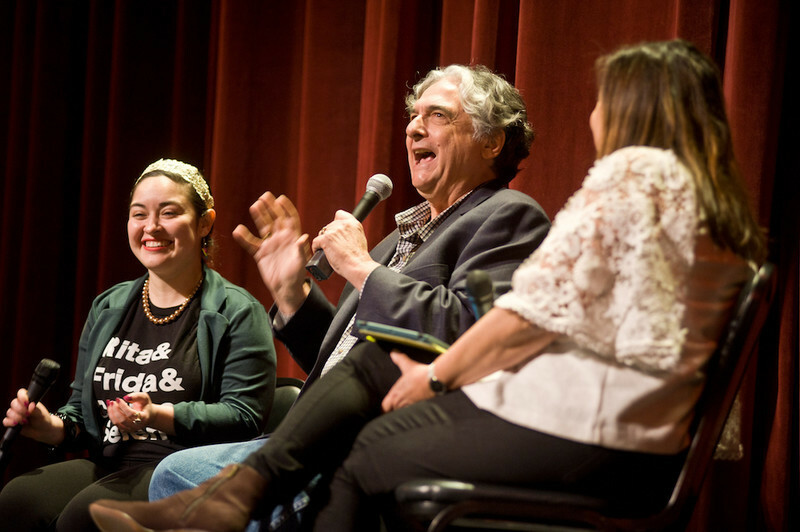 Director Stephen Apkon and co-producer Marcina Hale returned to the festival to discuss how their film has been shown around the world and embraced by both Israelis and Palestinians. Our 70mm screening of Christopher Nolan's 2014 sci-fi opus "INTERSTELLAR" was followed by a conversation with famed astrophysicist Miguel Alcubierre and U/I alum astrophysicist Brand Fortner (both pictured above). 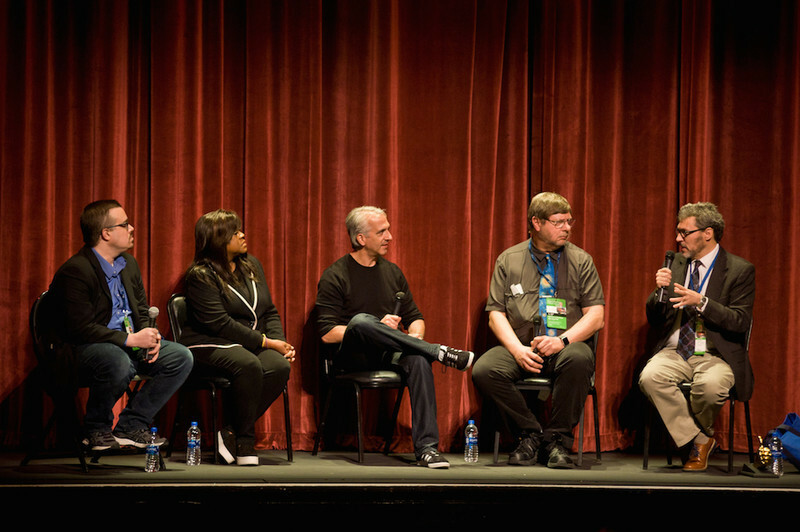 I moderated the Post-screening discussion posing questions to Miguel Alcubierre and Brand Fortner along with Brian Tallerico and Scott Mantz. Director Gregory Nava screened his personal print of 1997's "SELENA" to an approving audience before chatting with Claudia Puig and Monica Castillo about the picture. Nava also presented a poster of the film signed by himself and Jennifer Lopez. 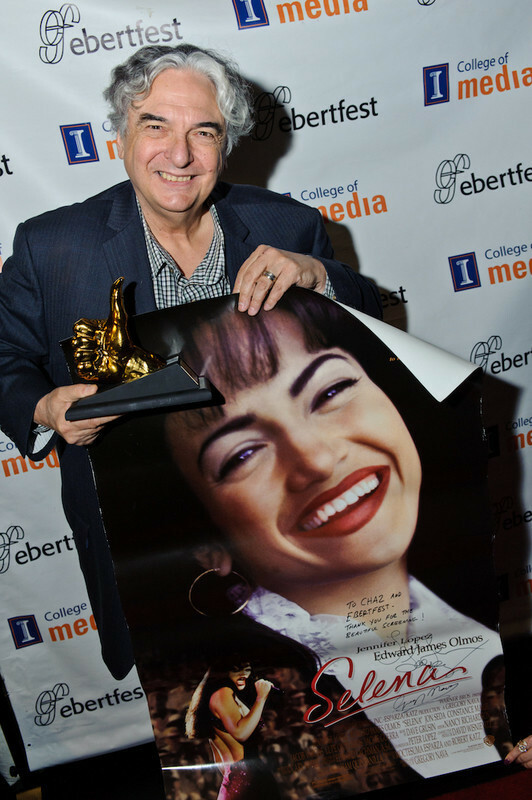 Joining Nava at the festival was his wife and the assistant director of "Selena," Barbara Martinez Jitner. 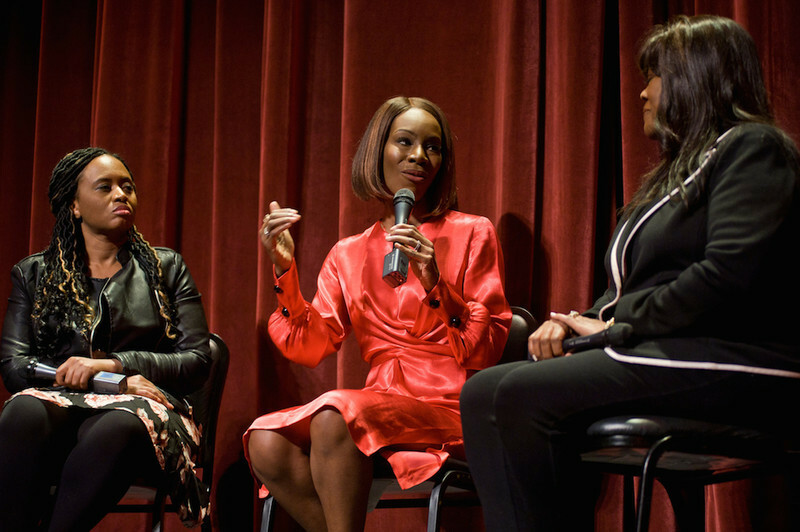 ReBecca Theodore-Vachon and conducted a Q&A session with filmmaker Amma Asante about her very beautiful 2013 film, "BELLE." Amma was as gracious as her film. 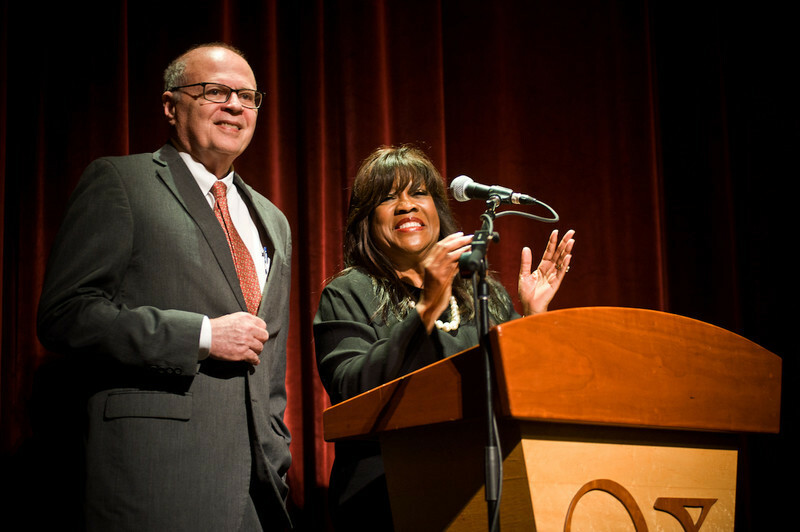 ...Todd Rendelman and Karen Simms. The panel was led by Dr. Eric Pierson. 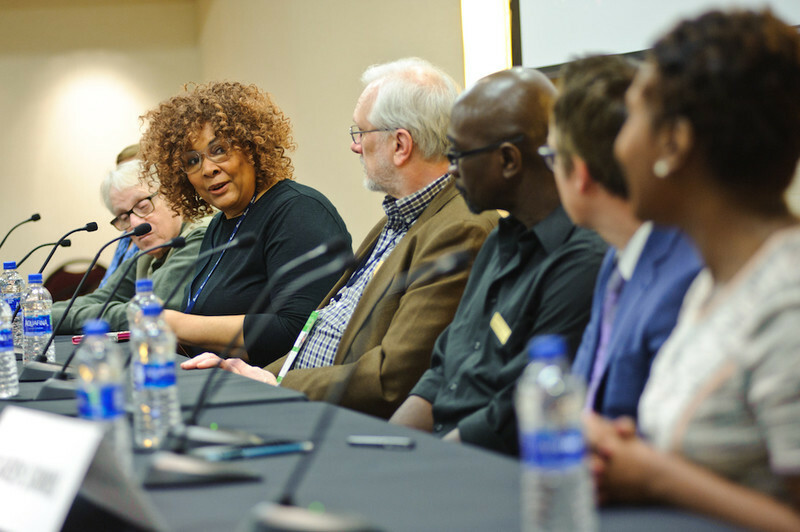 The second panel, "Leveling the Playing Field: Hollywood in the Time of #MeToo and #TimesUp" featured Gregory Nava, Ruth Ann Harnisch, Robert Pulcini, Julie Dash, Shari Springer Berman, Kogonada, Darrien Gipson, Andrew Miano and Jeff "The Dude" Dowd. The panel was led by Carrie Rickey. 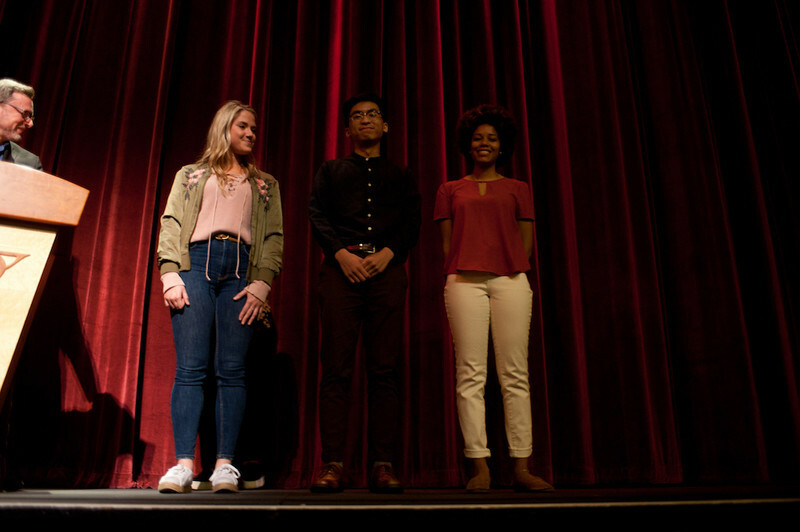 First up at the Virginia was a screening of last year's acclaimed film, "COLUMBUS." This film played so beautifully on the big screen. Lovely. 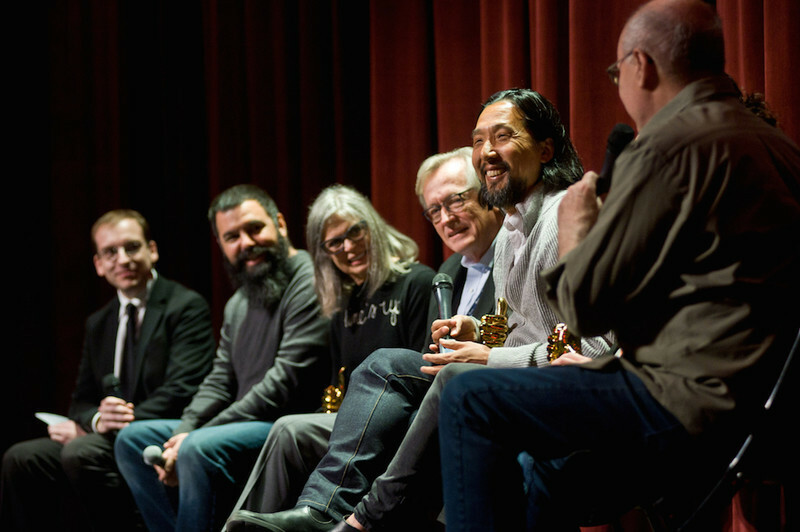 Director Kogonada was joined onstage by producers Andrew Miano, Danielle Renfrew Behrens and Bill & Ruth Ann Harnisch. Nate Kohn and Matt Fagerholm led the discussion. 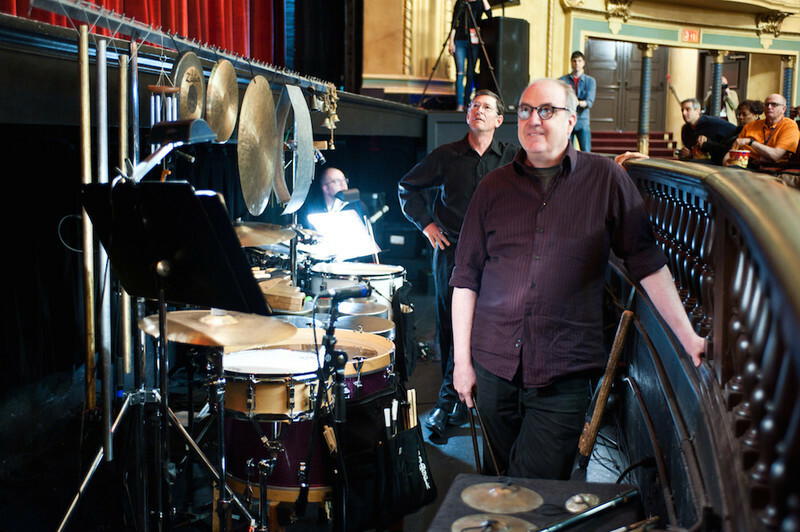 Alloy Orchestra members Terry Donahue, Roger Miller and Ken Winokur prepare to perform their original score for Teinosuke Kinugasa's 1926 classic, "A PAGE OF MADNESS." The trio struck a triumphant pose backstage. 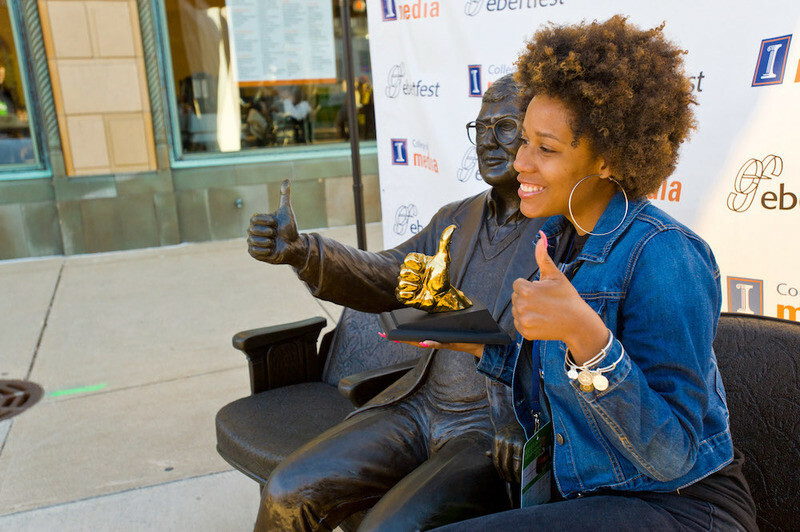 Friday was our sunniest day at Ebertfest, inspiring many guests to pose with Roger's statue, including Ebert Fellow Niani Scott. We commemorated the festival's twentieth anniversary with a Street Party in the plaza outside of the Virginia Theater, complete with cake, ice cream, live music by Bruiser and the Virtues and dancing in the street. Filmmakers Shari Springer Berman and Robert Pulcini joined producer Ted Hope to discuss their wonderful 2003 film, "AMERICAN SPLENDOR," with Leonard Maltin and Nick Allen. That film played even better today than it did back in 2003! What an accomplishment. And Shari and Bob and Ted Hope were perfect festival guests. 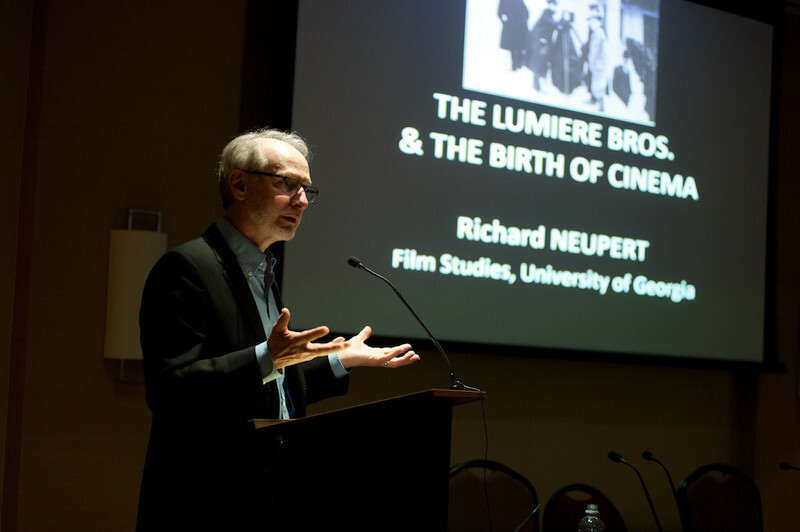 Richard Neupert, our festival's silent film expert, began the festival's busiest day with an illuminating lecture on the Lumière brothers. 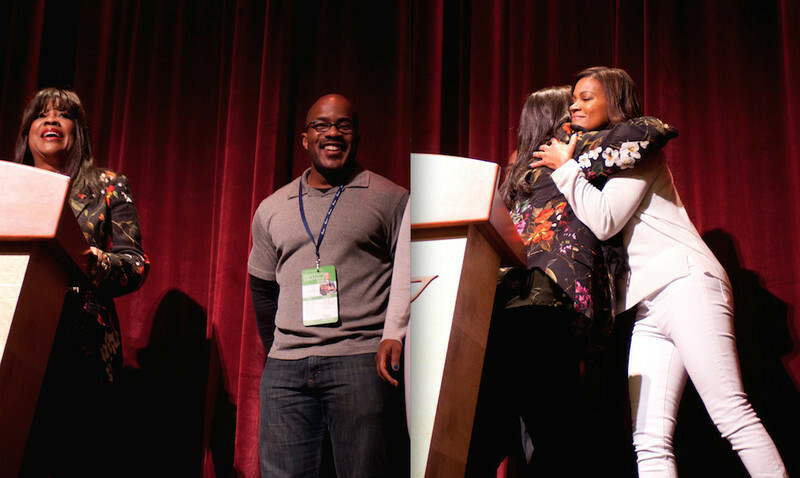 Two people who I couldn't have done this festival without are my nephew, Daniel Jackson, and my daughter, Sonia Evans, whom I brought up to the stage. 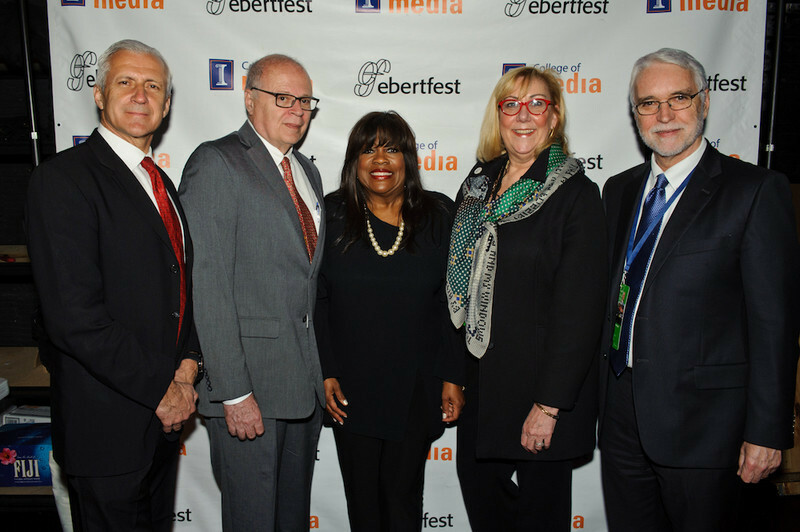 Ava DuVernay received one of the longest ovations in Ebertfest history after a screening of her 2016 Oscar-nominated documentary, "13TH." The crowd cheered for an extended length of time. 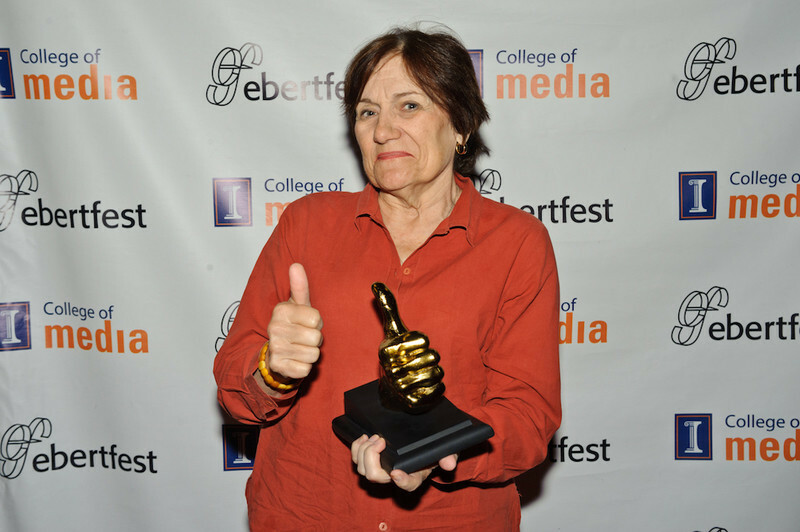 She spoke onstage with me and Peabody Award-winning director Rita Coburn-Whack (Maya Angelous: And Still I Rise). 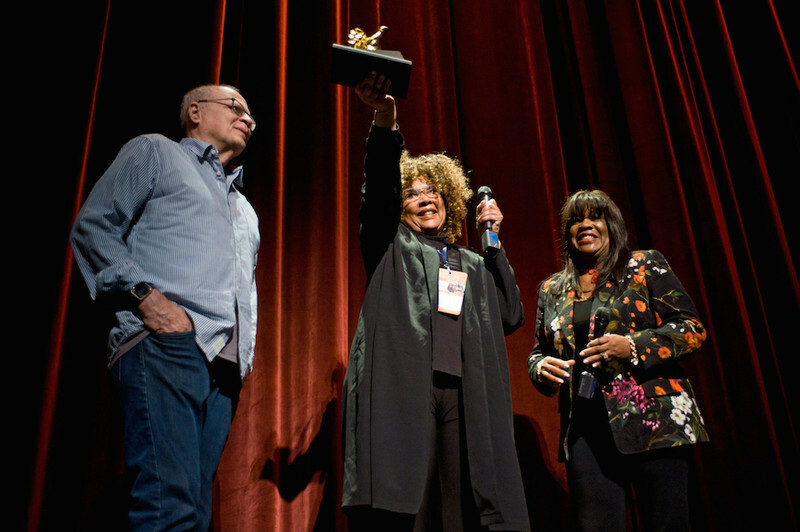 Julie Dash, the "Queen Mother" of cinema (according to DuVernay), spoke about her 1991 masterpiece, "DAUGHTERS OF THE DUST," with Sam Fragoso, Sheila O'Malley and me. Here is the panel backstage. 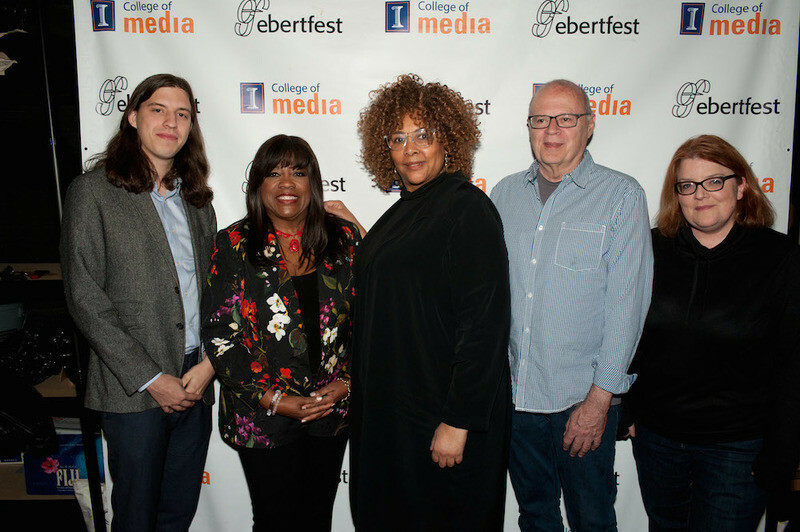 So proud of this year's Ebert Fellows tutored by Michael Phillips: Madeline Galassi, Tyler Panlilio and Niani Scott. 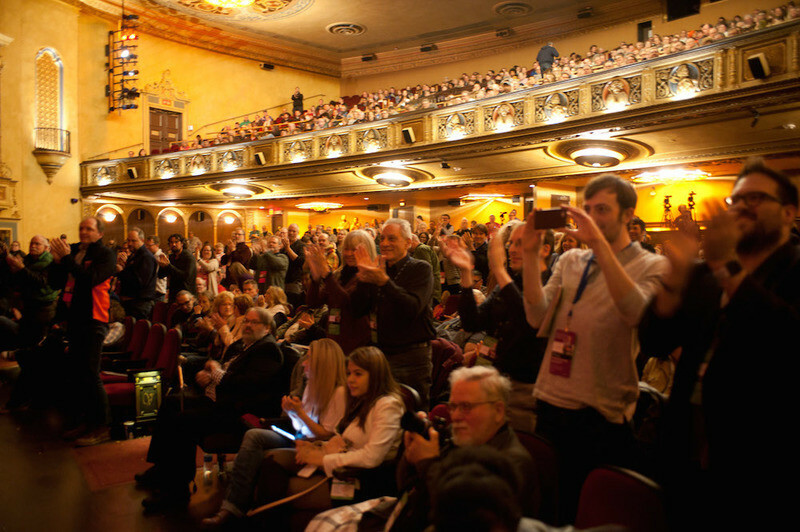 Martha Coolidge's 1991 film, "RAMBLING ROSE," received an enthusiastic response from festivalgoers. 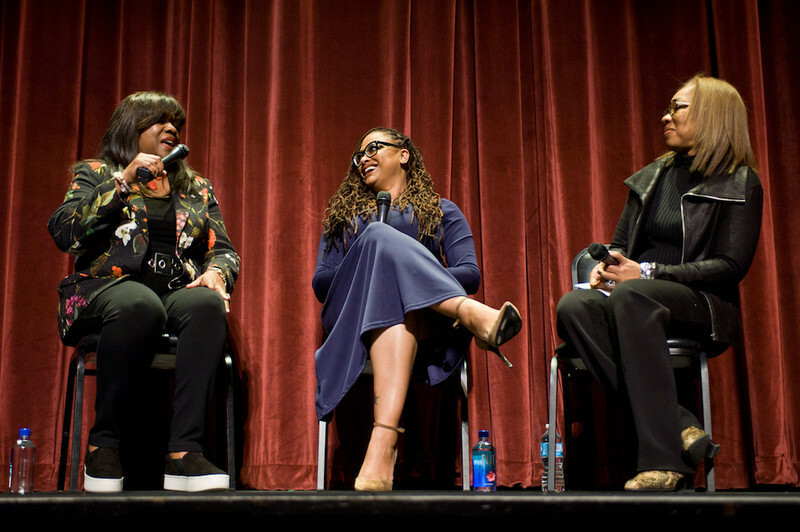 Both Martha Coolidge and Julie Dash were congratulated for blazing a path for women directors over 25 years ago. She reminisced about the production with Michael Phillips and Susan Wloszczyna. Mary Susan-Britt, our festival coordinator for 14 years, made a surprise appearance onstage along with our new coordinator, Andrew Michael Hall. 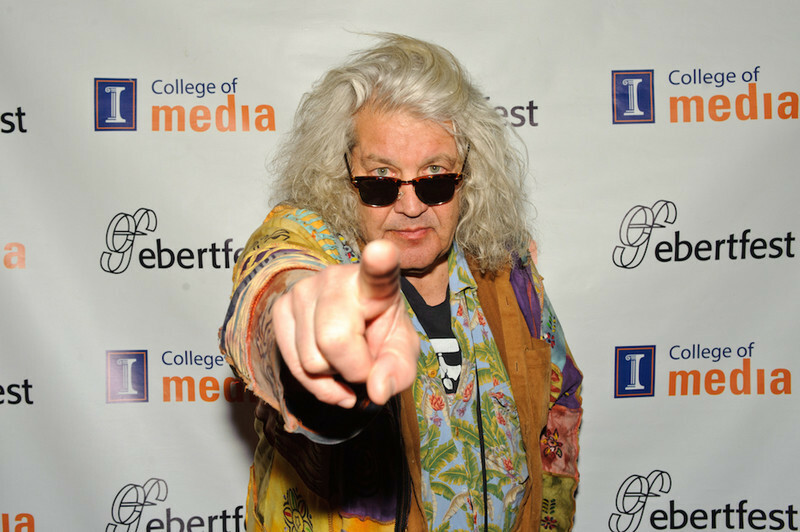 Jeff Dowd, the real-life inspiration for Jeff "The Dude" Lebowski (played by Jeff Bridges). 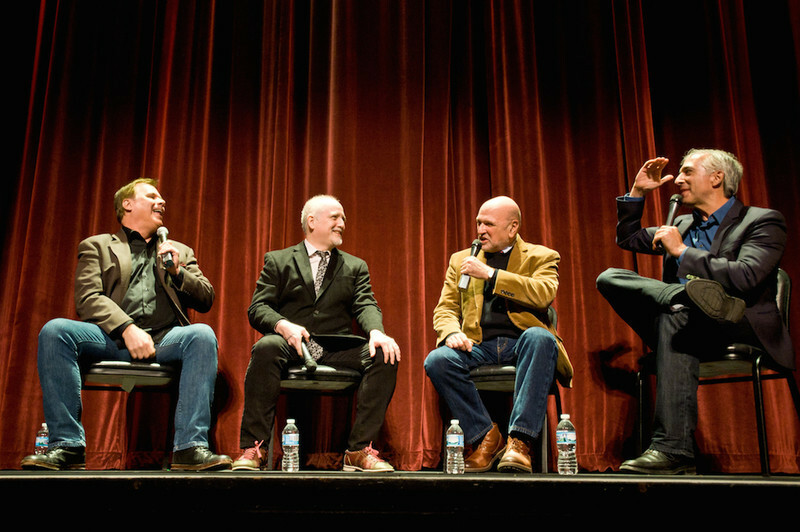 Dowd spoke onstage with Nate Kohn, Peter Sobczynski following the 20th anniversary screening of Joel & Ethan Coen's cult sensation, "THE BIG LEBOWSKI." 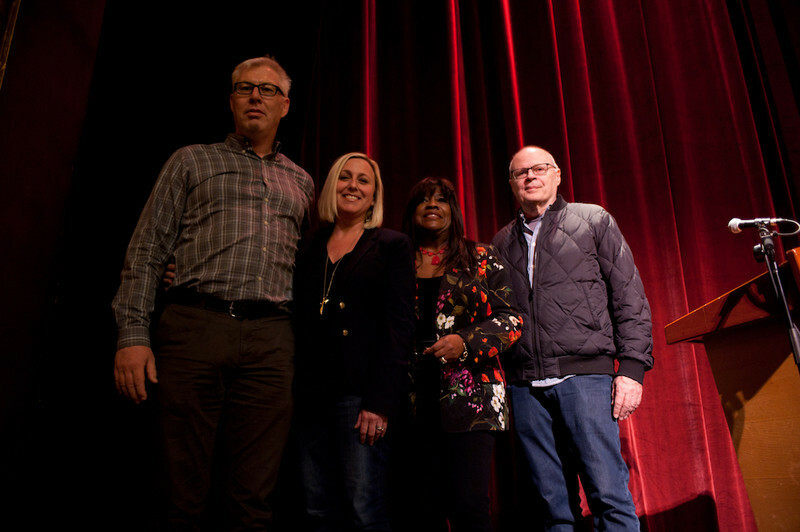 Our closing day screening was Catherine Bainbridge and Alfonso Maiorana's prize-winning documentary, "RUMBLE: THE INDIANS WHO ROCKED THE WORLD." This film is stunning in showing the contributions of Native Americans to rock, jazz, gospel and even heavy metal music. 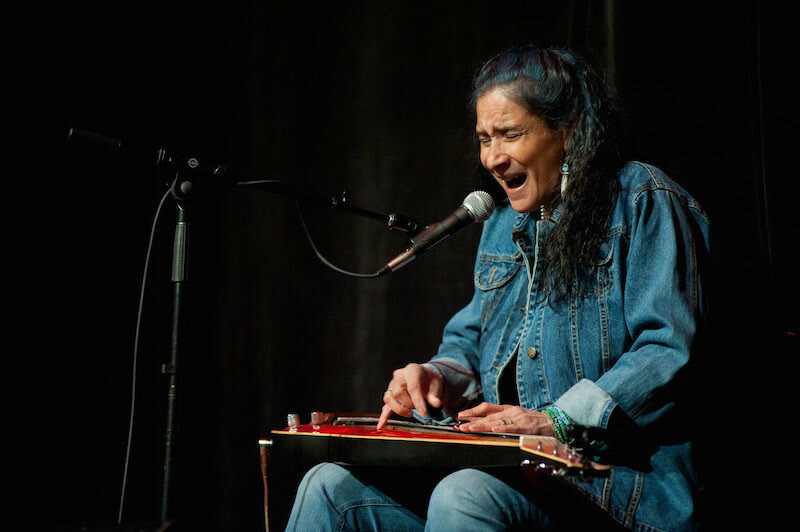 Maiorana was joined by Pura Fé, one of the indigenous singers featured in the film, for an onstage Q&A. Moderating the conversation along with Rita Coburn-Whack was CEO of the International Beethoven Project, George Lepauw. For the festival's grand finale, Pura Fé performed soulful songs that left the audience spellbound. What a moving end to a great festival!